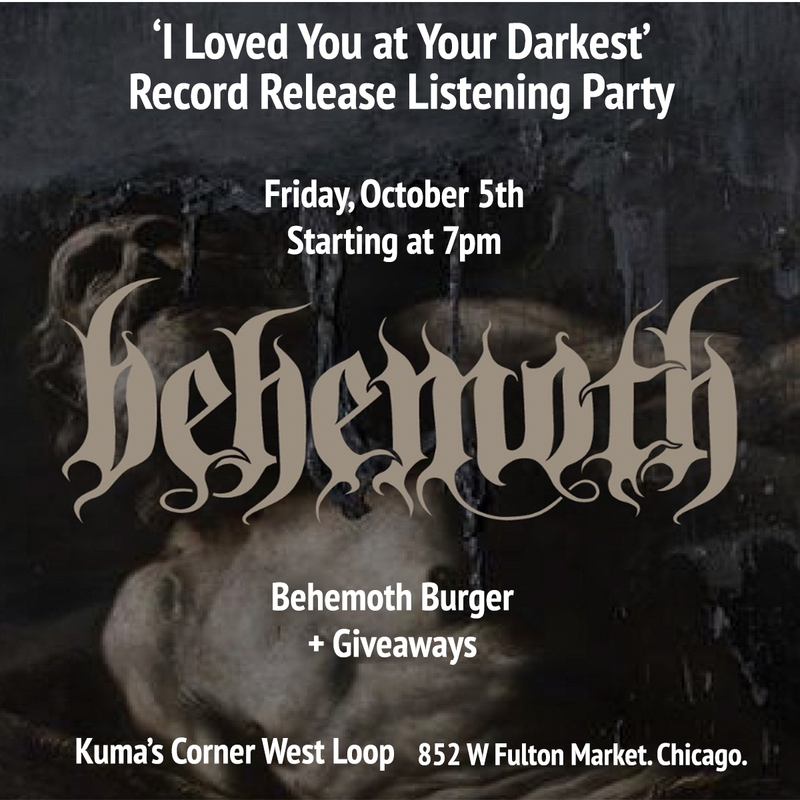 Join us at Kuma’s Corner West Loop (852 W Fulton Market) on Friday, October 5th while we jam the new Behemoth record, “I Loved You at Your Darkest”! We’ll play the album starting at 7pm – then every hour after. + copies of Behemoth CDs and limited edition 7-inch picture discs from our friends at Metal Blade Records! Come hang out and bang our head!